Expansion Index Consolidometer - Gilson Co.
HM-562 Expansion Index Consolidometer is used to determine the swelling potential of compacted soils through moisture conditioning a soil specimen to 50 percent saturation and compacting the sample into a 4x1 in (101.6x25.4mm) stainless steel specimen ring. The confining load is applied and the specimen is immersed in water for up to 24 hours as volumetric swell is recorded. From this, the Expansion Index (EI) of the soil is determined, with a higher EI indicating an expansive soil. 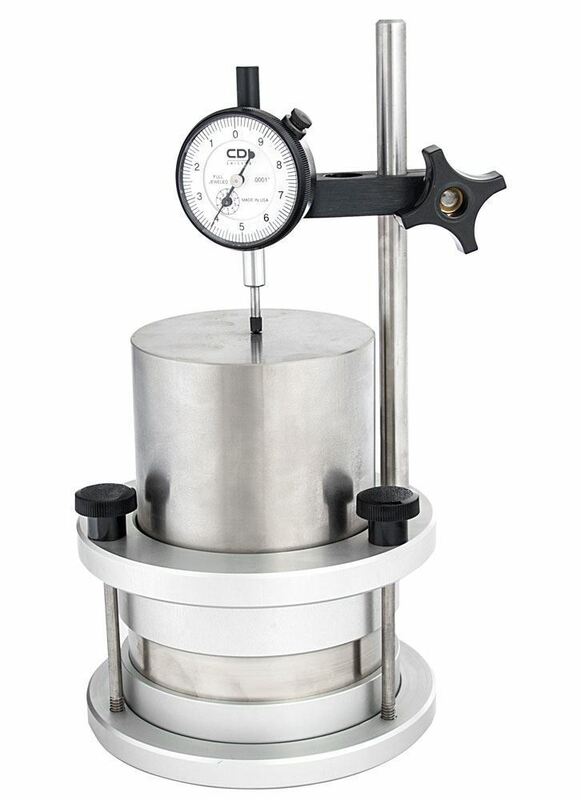 This self-contained unit is capable of mounting, loading, and saturating the soil sample; a separate consolidometer loading device is not required. The unit is constructed of stainless steel, with a corrosion resistant anodized aluminum base and collar. 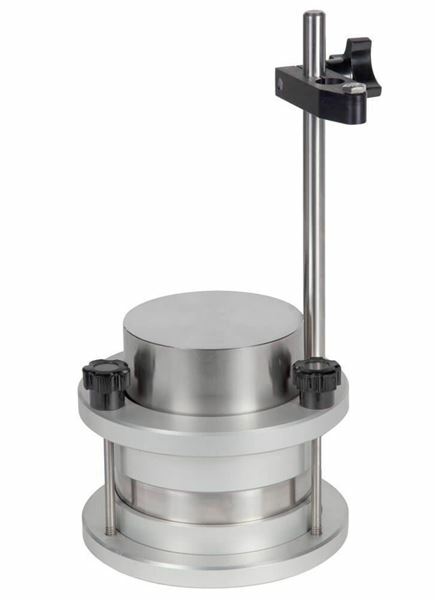 The HM-562 includes a stainless-steel specimen ring, 12.6lb (5.7kg) loading weight, and two porous stones. Either the MA-333 Mechanical Dial Indicator – 0.5 x 0.0001in or MA-363 Digital Dial Indicator – 0.6 x 0.0001in are required for testing with this unit and sold separately. Additional porous stones, stainless steel specimen rings and loading weights are available separately for more efficient sample preparation.